On June 5th 2016, at 09:29am, NJ State Police had in their custody 36yo female from Jersey City NJ, Tammy Pagan on an outstanding warrant out of Secaucus in the amount of $150.00. Pagan was able to post bail and she was released without incident. On June 5th 2016, at 01:59pm, at the Burlington Coat Factory in Secaucus, 23yo female from Bernardsville NJ, Brittany N. Colonna was arrested for Shoplifting. Colonna allegedly shoplifted $154.88 worth of clothing. Colonna was processed and released. On June 6th 2016, at 05:00pm, Paterson PD had in their custody 27yo female from Paterson NJ, Krysell C. Cox on an outstanding warrant out of Secaucus in the amount of $300.00. Cox was remanded to the Hudson County Jail. 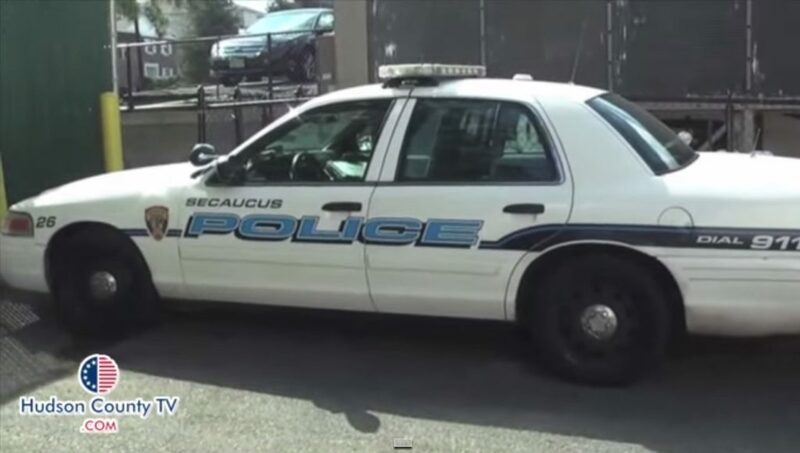 On June 6th 2016, at 07:33pm, in the area of Marianna Terrace, Officers responded on a report of two parties possibly under the influence, subsequent to that investigation officers arrested 23yo male from Secaucus NJ, William Shutte and 20yo female from Secaucus NJ, Samantha M. Enders. Both were charged with Possession of CDS and Possession of Drug Paraphernalia. Both were processed and released pending court. On June 7th 2016, at 09:21am, Officers responded to the area of 101 Enterprise Avenue on a report of a disorderly person. 26yo male from Jersey City NJ, Mario A. Jean-Philippe was arrested on scene. Jean-Philippe allegedly had two outstanding warrants out of Jersey City, one with a bail amount of $150.00 and the other with warrant with a no bail option. Jean-Philippe was also charged with Possession of CDS and Possession of Drug Paraphernalia. Jean-Philippe’s bail was set at $25,000.00 with a 10% option. Jersey City PD did take custody of Jean-Philippe. On June 7th 2016, at 05:49pm, Hudson County Sheriff’s Dept. had in their custody 22yo male from Jersey City NJ, Darius L. Thomas on two outstanding warrants our of Secaucus totaling $1,000.00. Thomas was able to post bail and he was released pending a new court date. On June 8th 2016, at 02:16am, at the Walmart in Secaucus, Officers arrested 37yo female from College Point NY, Nadine Darsanlal. Darsanlal was accused of shoplifting a push cart, sewing machine, and a camera. No complaints were signed by Walmart; however Darsanlal did have an outstanding warrant out of Fort Lee in the amount of $120.00. Darsanlal was subsequently released on her own recognizance. On June 8th 2016, at 12:10pm, Long Branch PD had in their custody 34yo male from New York NY, Jomell C. Brathwaite on an outstanding warrant out of Secaucus in the amount of $1,000.00. Brathwaite was remanded to the Hudson County Jail.